Private flight provider VistaJet is approaching the end of an ambitious investment cycle that has seen it take its global fleet to more than 70 aircraft. With about two more new aircraft to be delivered in the next few months, the Europe-based operator now plans to take a break from rapid fleet expansion as it re-assesses longer-term needs. The fleet size has doubled since 2014. 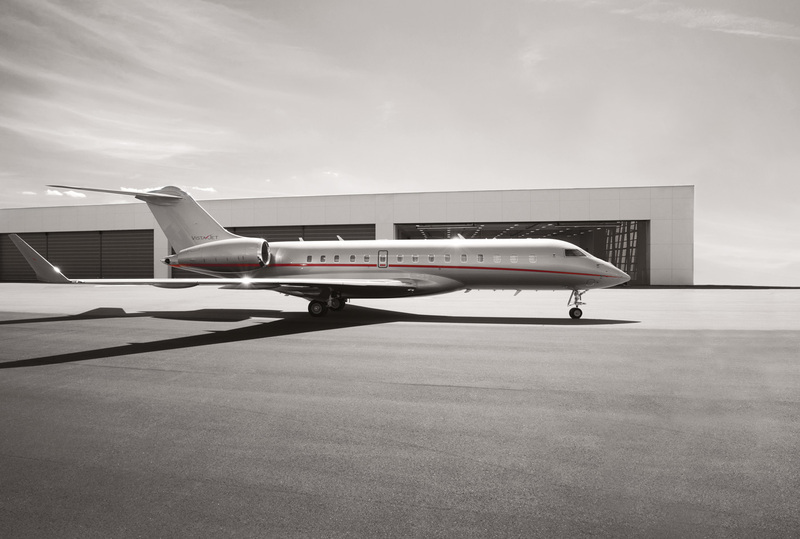 Since it was founded in 2004 by Swiss entrepreneur Thomas Flohr, VistaJet has shared a close bond with Bombardier to the extent that its fleet consists entirely of the Canadian airframer’s Global and Challenger aircraft. The company has always argued that the consistent quality and appearance of its aircraft is a key attraction and point of reassurance for clients. Moore explained that the operator has always invited tenders for new aircraft from other manufacturers, but to date has found no reason to stray from the Bombardier fold. “In the future, anything goes,” he told AIN, while in the same breath adding that, for now, he views the Challenger 650 as the best super midsize jet and the Global 6000 the best in the large-cabin class. In the background, Flohr, himself, holds delivery positions for more than one of the new Global 7000 model, and they're due to be delivered two years from now. According to VistaJet, the number of flights it made in the first quarter of 2017 was 28 percent higher than in the same period of 2016. “In Europe, we’ve seen an even higher rate of growth than this, which is a pleasant surprise, because you might imagine that Europe would be our most mature market,” Moore commented. Despite having a somewhat flat economy, Europe’s business aviation sector is boosted by the large number of wealthy non-Europeans who either visit often or are based there part of the time. Moore referred to this part of his clientele as “global citizens,” and they are clearly significant consumers of VistaJet’s services. Last year, VistaJet moved its global headquarters to the Mediterranean island nation of Malta, giving it a firm bedrock within the European Union. There it claims to be the biggest employer in the country’s growing business aviation community. The group-wide payroll includes colleagues of 54 different nationalities. VistaJet offers both ad hoc charter flights but also its so-called "programs," which are essentially tailor-made packages of flight hours and special rates. According to Moore, the past 18 months have seen exceptionally strong program sales, with the gross value of these sales, to both new customers and renewing customers, roughly doubling. Within defined service areas for different parts of the world, VistaJet offers guaranteed one-way pricing with no ferrying costs to position aircraft. The existing service areas include Europe, Russia and the CIS, the Indian subcontinent, Asia, and some parts of Africa. The company intends to expand into South America. Just over three years ago, VistaJet launched services in the U.S. through an alliance with Jet Aviation, which operates aircraft under its AOC. The European group now has its own sales office in New York City, with 30 staff. VistaJet is a strong believer in the so-called shared economy and feels that shared use of aircraft is a prime aspect of this concept. “It is wasteful for companies not to share key infrastructure like this and a strong advantage for them not to have assets like this on their books,” argued Moore, acknowledging that perception issues continue to make direct ownership of aircraft difficult for some companies. VistaJet founder and chairman Thomas Flohr has repeatedly told reporters that every 10 years or so the business aviation sector is bound to be challenged by an upstart wanting to disrupt the status quo. His company was that upstart more than a decade ago. It now appears to be at an inflection point in terms of how much further the bond-backed business can grow.